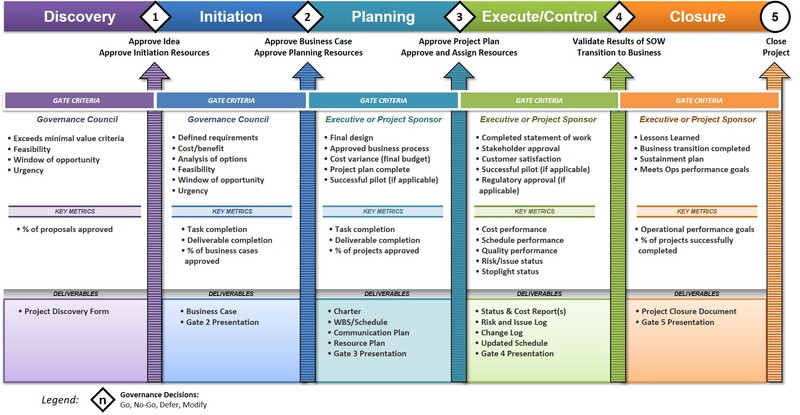 The work in-take process refers to the steps of developing a project proposal and bringing it to the governance board (or PMO) for a go/no-go decision. This process works in conjunction with Stage-Gate, but can also be a standalone process. When PMO’s are first established, an intake process needs to be defined so that the PMO can manage incoming project requests. Once the portfolio governance team is established and familiar with the intake process, a full Stage-Gate process should be developed. Stage-Gates are a critical component of project selection. A winning portfolio must contain winning projects, therefore the portfolio governance team must be able to discriminate between good projects and great projects. 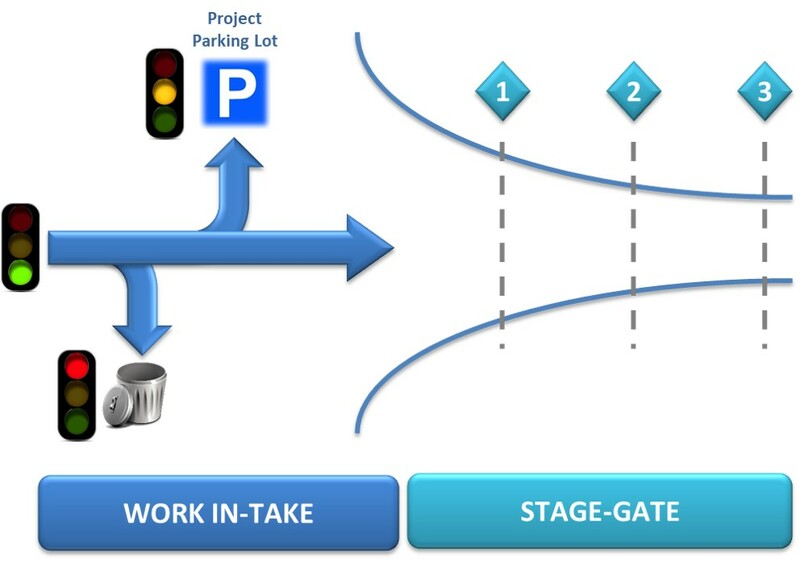 The decision gate process enables the project governance board to review these projects based on predetermined strategic criteria at each gate review of the Stage-Gate process. At each of those gates, important project information is provided to the project governance board to make a go/no-go decision related to the project. Without this mechanism, unnecessary or poorly planned projects can enter the portfolio and bog down the work load of the organization, hampering the benefits realized from truly important and strategic projects. The example framework below highlights the components of a robust Stage-Gate process. This entry was posted in PMO, PMO as a Service, Project Portfolio Management, Technology Business Management. Bookmark the permalink.